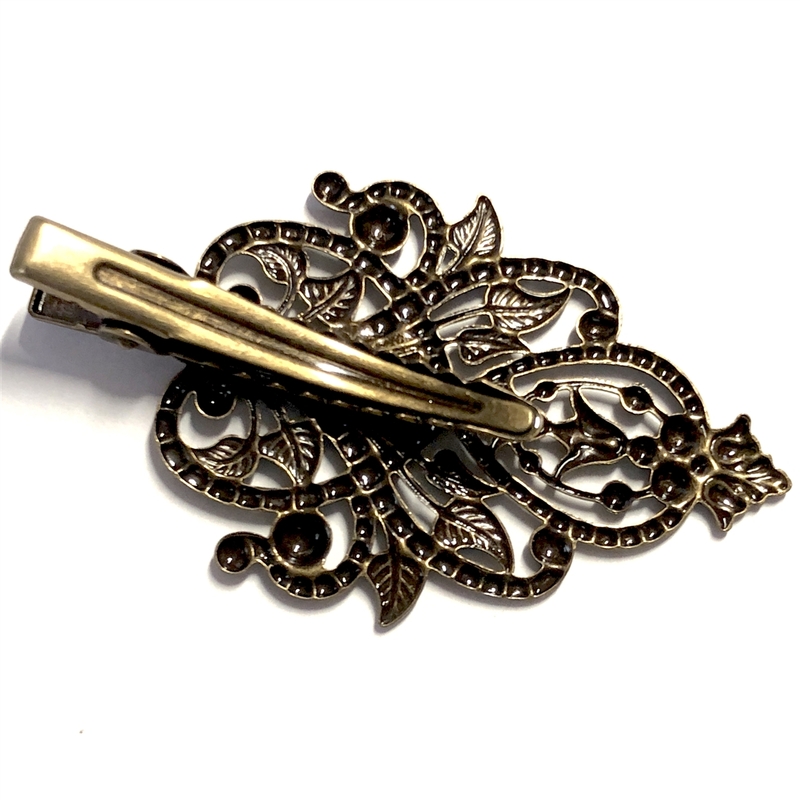 Hair barrette, hair clips, filigree leaf hair barrette, hair accessories. Lovely filigree design with a swirling leaf pattern. Measures 35 x 57mm. 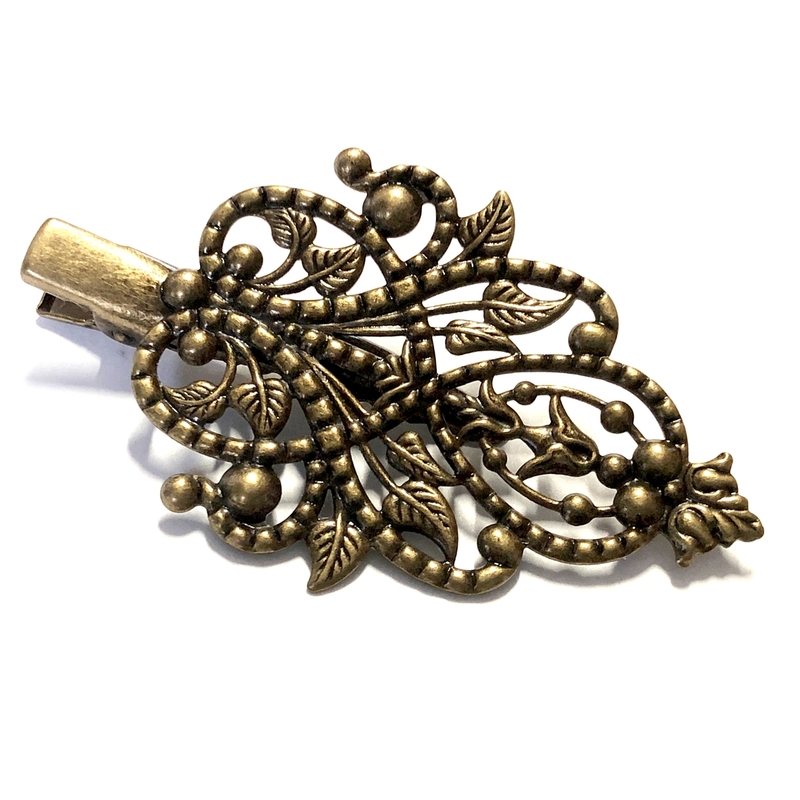 Clip style clasp. Antique bronze. Ready to use as is or can be embellished. Sold by the piece.